There’s increasing proof that aerobic exercise increases the chances of living longer. Recent studies indicate that only 30 minutes a day, five days a week can keep you in fit condition. The next question would be how do you know you’re getting sufficient exercise in that 30-minute. Your heart rate helps to ensure you are meeting the proper level of activity. Your target heart rate – determined based on your gender, age, and resting heart rate — enables you to get rid off calories by burning them off with activity, that does not put you at risk of an injury. And increasing your heart rate is not as dangerous as you might think. The second we get up out of your bed in the morning, our hearts start to respond to that activity. In your day-to-day, if you were at work, going to different meetings, and happen to have had a few cups of coffee, your heart rate would speed up too. A recent study of 13,535 women showed that brisk walkers — who moved at a speed of about three mph — were at least 90 percent more apt to be free of kidney disease and diabetes. From being in a range of the mid-60s, you can quickly escalate to the mid-80s just by standing around talking if you have elevated your heart rate before. For example, at 86 beats per minute, your heart is working harder to pump oxygen and blood to your muscles via your veins. If you happen to climb stairs within your building, your heart rate can nearly reach 100 beats a minute. For instance, a fit man in his 60s, 100 beats places you at the low end of the target heart rate zone. Exercises and activity in this range generally reduce the risk of injury and enhances the possibility of fat-burning — mainly if you maintain the rate for a long enough time. If you are generally more active, you may be able to be able to charge up a few flights of stairs, and your heart rate stays near the 60 percent range of maximum effort. It’s ordinarily not recommended by medical professionals to exercise above 85 percent of your maximum heart rate. 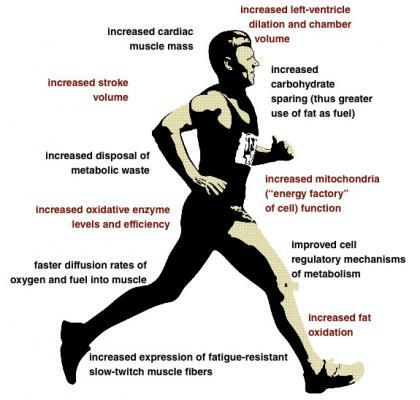 Once we begin to build up aerobic fitness, our body moves and transport oxygen and blood into our muscles more smoothly efficiently; We also start to increase the effectiveness of the muscles in actually utilizing the oxygen.” The outcome is that, over time, we can move in higher amounts, using less effort. It does not take a lot to move from a stationary/sedentary level to where we’re getting a “training” effect, which are the benefits of often moving with lower effort levels. For people who are deconditioned or do no exercising at all — With only 72 minutes a week worth of exercise your fitness can improve. It’s enough to walk for 20 minutes at a pace per mile (3 miles per hour). For most people, it would not feel like exercise. And the data becomes stronger. New research of 13,535 women shows that women who routinely walked for their exercise in while age 50 or older were much healthier in their 70s and beyond. This could be due in part to walking was one habit of healthy living. If you are looking for the ultimate heart rate about 60 percent of your maximum is a good pace for fitness. This data was looking across all user groups, not just looking at who had a heart attack. The study looked to see whether women had developed chronic conditions, such as Parkinson’s disease, kidney disease, diabetes, and pulmonary disease. They also evaluated the cognitive function of these women. The evidence showed given the level of exercise involved. The brisk walkers — who walked at a clip of about three mph — were 90 percent more likely not to have any of these conditions when compared with women who were not in the habit of walking faster than leisurely pace. There are benefits to increasing your heart rate that goes beyond physical health. Today there is a ton of focus on fitness is with the exercise being to prevent obesity. One school begin to measure target heart rate zones as a component of an in-school exercise program. And they discovered it served more than just the students’ physical health. When you think about it there many activities that can be considered exercise and [Exercise] should be fun. You can do any of these activities, and you’d be surprised the activities that will get your heart rate up. You may want to start wearing the heart-rate monitors is to learn what it feels like to be at an activity level and exercising at the appropriate pace — around 60 percent of their maximum. By being in the target heart rate zone, you are burning more of the fat you have stored.” When people start to exercise beyond 80 percent of max, the body begins to consume more sugar. So over time, the cardiovascular exercise causes the body to become leaner and to burn up some of that body fat rather than burn the food you ate a little while ago. With daily exercise and increases in the heart rate, you will likely notice daily to specific improvements in business or academic success. Through some studies, researchers have noticed a significant decrease in aggressive behavior. Some people can leverage exercise as a way to blow off steam. Studies have shown exercise can boost blood flow, which can lead to improved focus and attention — as well as enhanced mood lift.